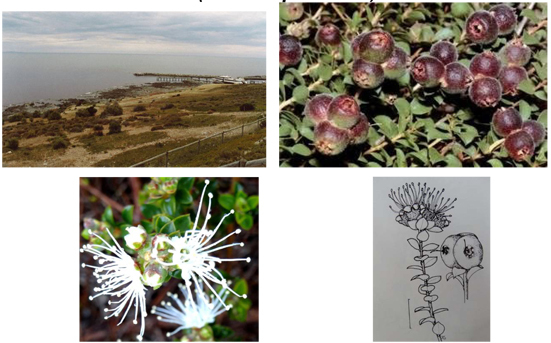 You should see this native plant fruiting now, in the area between Fleurieu Ave and the coast. Look for small, dark red berries, on a prostrate woody shrub that can spread for more than 5 metres. The leaves are small and shiny, and the spring flowers are white and fluffy. The edible berries were enjoyed by Indigenous Australians and are now part of the native food industry. In fact, the word pomifera reflects the fact that the fruit look like miniature apples, and some taste like spicy apples.